"Dear Gary & Team at GM Construction, Thank you soo much for all your hard work. We absolutely love our new deck!" "Hey Gary, our screen porch looks great. Thanks for a job well done. (To see more photos of this beautiful screen porch please see the feature on our blog by clicking this link!)" "We approached GM Construction with a unique design concept for our deck. We were looking for something more than just a typical deck. We wanted something that would reflect the exterior lines of the house, allow our family easy access to backyard and to the house respectively, all while preserving the views of the gardens and woods. We also wanted this to be comfortable in feel, flexibility and use. Gary was able to see our vision and bought complementary design aspects to the table that allowed us to build exactly what we were looking for. After a few days of work – Gary and his crew nailed the design. Gary and his crew are true craftsmen – right down to the little details. Now, our deck is an extension of both the house and yard and is already bringing the enjoyment we had hoped. Thank you so much!" 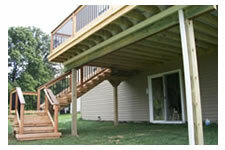 "I am extremely happy with the quality and craftsmanship Gary and his crew provided when building my new deck. It exceeded my expectations!" 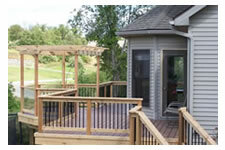 "Overall, we are very happy with our new deck. You and your team were professional and good to work with. Your customer satisfaction and service is excellent. I will definitely refer your services to friends and family. We have purchased most of the fireplace accessories (for the outdoor fireplace) and have enjoyed serveral fires. Making smores is becoming a family favorite!" "Taking on a complete backyard renovation with multiple phases and contractors could have been a nightmare, but was simplified by Gary's willingness to coordinate and work with our landscape designer. 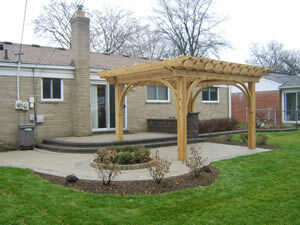 The unique pergola made from white cedar timbers that was built over our lower patio finished off the total project with a great custom look. Gary and crew did a great job putting it together and now this structure is going to be the envy of the neighborhood. I'm sure other people will consider having one of their own!" 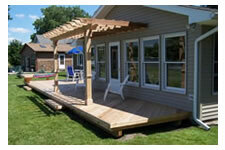 "The new deck and pergola that you built has been a terrific addition to our lake home in Linden. It is like an extension of the living room and family room! Sue and I would be pleased to be a referral at any time." 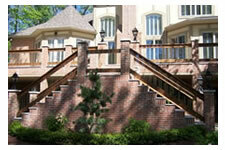 "I would like to thank you for an excellent job on my retaining wall. I'd also like to thank you for giving me a personal phone call the day your crew couldn't make it, I appreciated that you took the time to contact me. 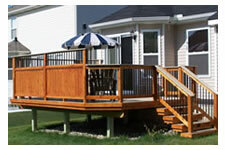 I look forward to you building the new deck that you helped us design!" 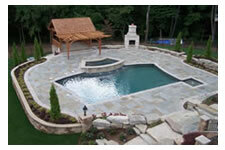 "We very highly recommend Gary and his crew for any construction project you may have. After having dealt with (difficult) contractors for various projects I was extremely gun shy about hiring someone to repair and add onto our existing deck. But half way through our first meeting with Gary we knew he was the guy for the job. He is extremely honest and sincere-a rarity these days. He and his crew were the nicest group of guys to work with and the job they did was amazing. 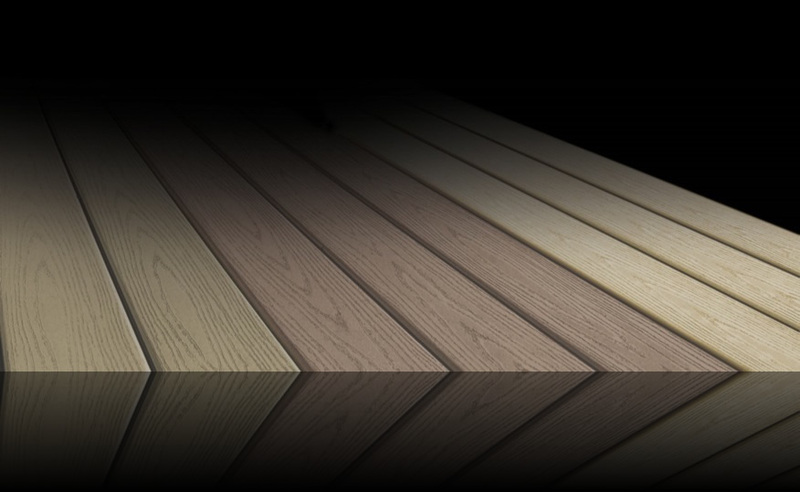 If you are looking for an honest, hardworking contractor that takes extreme pride in their finished project - GM Decks is who you want. I will gladly be a referral anytime one is needed." 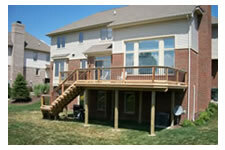 "We just wanted to thank you for the excellent job you and your crew did with the construction of our new deck. Your excellent craftsmanship has added value to our property. Again we are left with a great addition to our home. We will continue to use your services through out our life. If we can be of reference to any one considering your services please do not hesitate to provide our number. 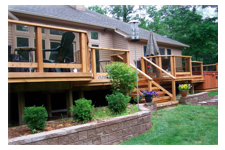 I am positive that the same professional service you have provided for us will be extended to anyone considering your company to build a deck or update any part of their home. Again thank you." 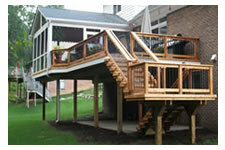 "When GM construction completed the new deck project, the neighbors, friends, and the family loved it. Gary and his crew take great pride to satisfy the homeowners!!" 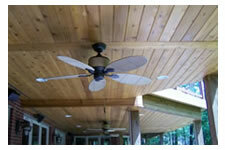 "We are extremely happy with our decks. GM put a large deck/porch on the front of our home with lighted posts and completely rebuilt our back deck. We were impressed with his attention to detail. They were always courteous and always left the area clean of debris and construction materials. 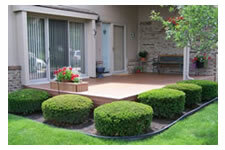 I fully recommend using GM Construction , if you are looking for a new deck or landscaping. 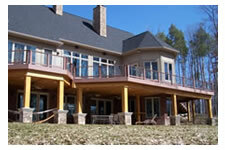 Thank you Gary and Crew for a great job, we will enjoy our decks for many years to come." 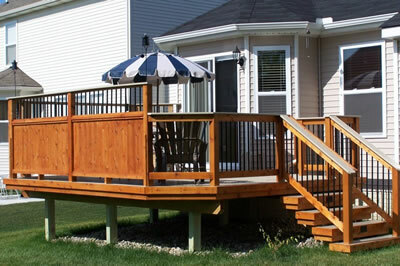 "I would like to say that I am very satisfied with my new deck that was built by Gary Suchland in 2005. The price was comparable, quality was excellent, the staff was professional and they always kept my yard cleaned up during the process. I had an idea of what type of deck I wanted and Gary made a few suggestions on the design and lighting which made it unique from all theirs. I recently sold my home and one of the major selling points was the deck. The buyer said "I like to entertain and the deck is just perfect." "I just want to start by thanking Gary for making this new deck happen for us without Gary helping us with our budget this may not of happened for a couple of years seeing how we just moved in to our first house and there are so many things we need.Second this picture shows it all we could not have asked for a better built deck it is exactly what we wanted some privacy with a very classy look. Nothing but praise from our neighbors and friends. There will be many years of enjoyment on this deck thanks to Gary and the crew." "The new deck is awesome! Already the neighbors are commenting on it. Thanks for doing such a great job. If others are looking for a recent referral, feel free to have them contact us. We are very glad that we found your company." A big THANK YOU to all of our past clients! It was a pleasure to work with all of you. I appreciate very much the feedback. 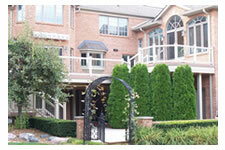 We strive to make sure that your experience with us is enjoyable and well satisfied. We look forward to extending our services to potential clients and hope we can extend the same satisfying service to them. Click here to contact us today for your own FREE consultation!